Can the Venom of the Deadly Green Mamba Snake Save Failing Kidneys? Can deadly venom be something that may give hope to people suffering from a genetic kidney disorder? Polycystic Kidney Disease PKD is a genetically inherited disease which causes the kidney to be covered with many cysts growing over the kidney rendering them ineffective. Babies born with a severe form of the ailment are liable to die. Standard treatment causes many side effects and is only for the accompanying symptoms like high blood pressure but doesn’t really help for the ailment itself. 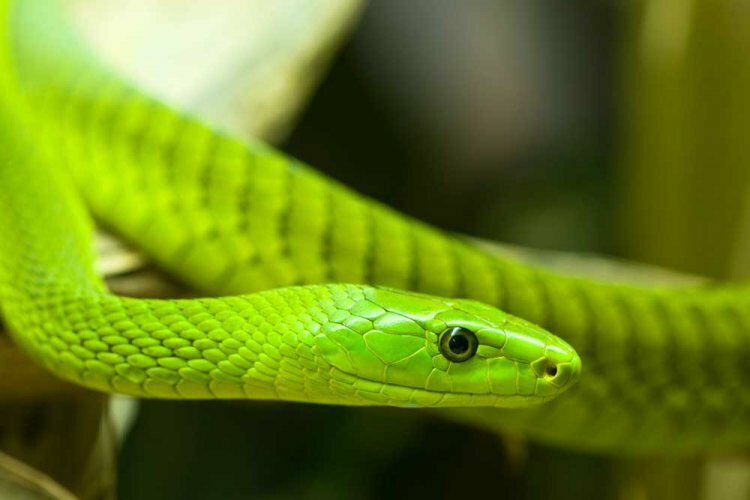 Nicolas Gilles, a venom researcher at the University of Paris-Saclay in France, researched if the venom from the green mamba will help these patients. The venom itself normally causes nausea dizziness and heartbeat disturbance and often death but a peptide from the venom was found to be effective against the ailment in tests on mice that were genetically altered to have PKD. One group of mice received the peptide from the venom and a control group received salt water. The group receiving the peptide was in far better shape than the control group. The research showed that the mice receiving the peptide had their kidney function improve with no side effects. The control group showed no such improvement. The amount of cysts in the mice that were treated went down about 30% and the total area of the kidney covered with cysts was lessened by 47 percent. How does it work? Researchers think that the peptide cleared away cysts by blocking the type-2 avasopressin receptor, just as the drugs being used currently do only the peptide does it without terrible side effects. The research must be repeated on humans to see if the peptides won’t be toxic and if they’ll be effective. Researchers will also investigate the possibility that the venom has other ingredients with more medicinal properties. Meanwhile the findings so far are very positive and there is cause for optimism that the PKD patients may find a cure to this terrible ailment. The green mamba is not only fatal it can also bring life!